"Editor´s Choice Award" by Children´s Technology Review for Excellence in Design! “CHOMP by Christoph Niemann” is the latest imagination from internationally renowned children’s author and illustrator Christoph Niemann, whose App ‘Petting Zoo’ is already loved by millions of children and families around the world. •	Hand drawn animations made with love and care. •	Over 50 hand-drawn scenes with countless funny animations. •	Fun for all ages. •	No language knowledge needed. The app is text-free. •	No in-app purchases, invasive advertising, or data mining. •	Record play sessions with integrated video recording. 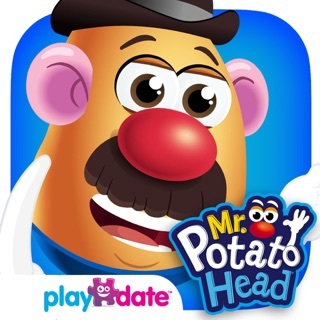 •	Children can swipe left and right to change animations. Tap the screen to see the fun. •	Grownups can open the camera menu in the bottom left to record videos. Tap to microphone icon to enable sound recording, use the large center button to start and stop video recording. •	Please enable camera permissions when prompted. Just as with his App ‘Petting Zoo’ and his New York Times blog ‘Abstract City’, Christoph Niemann uses ‘CHOMP’ to once again show us his own unique, absurd, and always funny view of the world. "It’s not quite a storybook, and not quite a video game. It’s ostensibly for kids, but its creative appeal is universal. It’s definitely digital, but feels analog. The app lives at the intersection of all these things, which is one reason it’s such fun to play." 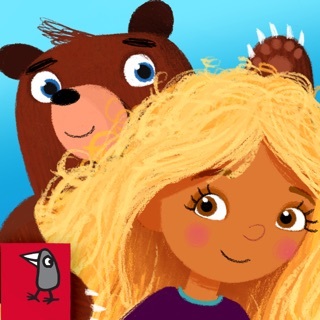 “PETTING ZOO” - is a fantastic storybook app. It features beautiful, fun, interactive animations of over 20 animals, and it’s bound to be a big favorite for kids and animal lovers of all ages. Ready to unleash your cartoon alter ego? CHOMP takes your face and sticks it on dozens of interactive animations, letting you instantly record the bizarre and hilarious results. Scenarios can turn you into a wacky superhero, a concert pianist, a panda—even water dripping from a tap. The beautiful, simple, feel-good illustrations make for the type of silly fun that guarantees laughter from all ages. Amazing, and original. Absolutely love this app. Had fun with my three-year-old, five-year-old, nine-year-old, and 13-year-old. Great fun for all ages. I annoyed the heck out of my family today sending them these and they all loved them. I really hope Christophe adds to this collection so this thing can blow up and get bigger and bigger!